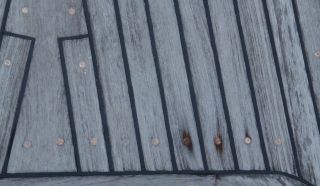 The decks: Perhaps the single most important item we wanted to accomplish on our refit was to get rid of our teak decks. They're hot and ours are starting to look pretty ratty. 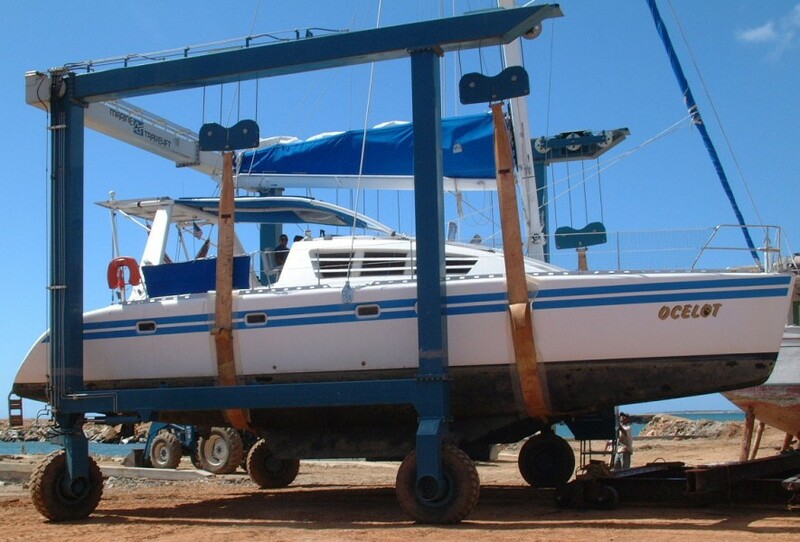 Thailand being the land of teak, most contractors we talked to wanted to replace our teak decks. This had a certain appeal, as the prices were good ($300‑500/m2). Europeans seem to love their teak, so putting anything else on could affect resale value. But we have no plans to sell Ocelot soon, and we prefer the lighter weight, cooler feet, and easier maintenance of gelcoat with molded in anti‑skid. Golf said he could do it either way, and the price difference was negligible. 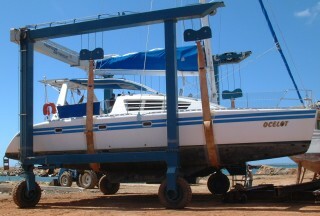 Replace Cockpit and Aft-deck teak: Our cockpit is usually covered by our bimini, so the teak there is in much better shape. And since that teak is shaded, it's cool and pleasant on the feet. But it is showing signs of wear, and it's screwed down in addition to being glued down. New teak decks are just glued down, so the teak can wear much longer before it needs to be replaced. We were still dithering about whether we wanted to spend this money or not ($3,000) when Golf's team started tearing out our old teak. OK, I guess we replace it . Actual work: In the end, of course, the actual work accomplished far outstripped our initial thoughts. 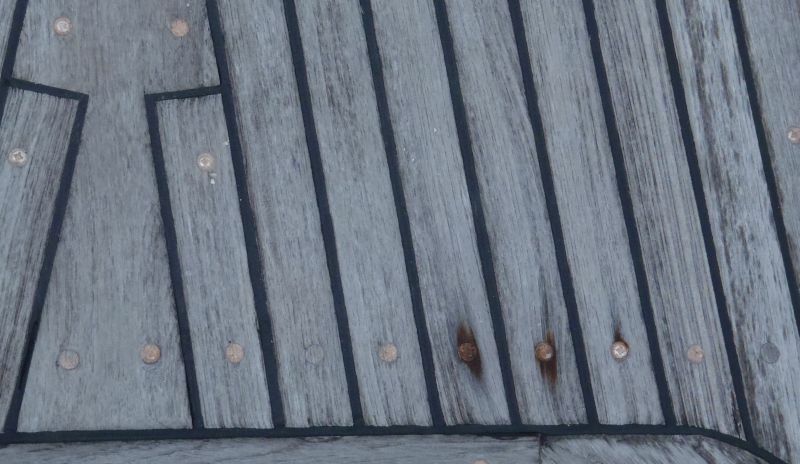 After the teak was removed, Jon went around marking those areas of the deck where some delamination had occurred. These areas would have to be ground back, the underlying balsa checked for structural integrity and repaired if necessary, and the glass replaced and smoothed before the non‑skid panels could be glued down. But Golf didn't tell his workers to grind away the fiberglass - he told them to attack the glass with hammer and chisel! This pounding delaminated the whole deck from the balsa, so that top layer of fiberglass had to be removed. When we looked at the balsa coring of the decks, there were several patches where water had got in and the balsa had rotted. In the end, we decided to replace ALL of the deck balsa with inorganic, high‑density structural closed‑cell foam, then replace the top layers of glass before gluing down the non‑skid.